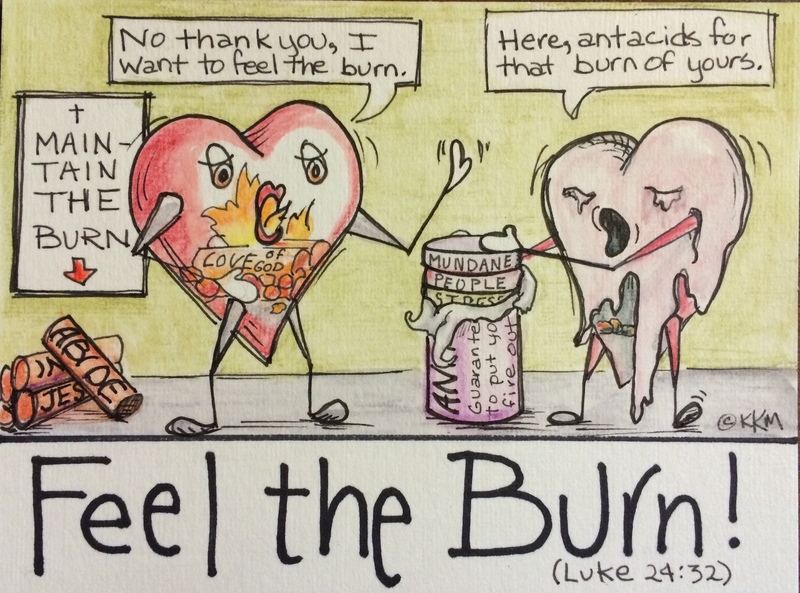 We all avoid heartburn–but the burning of Christ in the heart is something to experience, savor, prolong. The things that put the fire out are the routines of life, people who annoy, stress at work, no ‘time’ for devotion . . . the list goes on. When those things wash over you they leave your heart unfeeling, insensitive and cold. All you need to do to resolve the cold heart is to rekindle your relationship with Jesus, abide there and your heart will begin to burn again–in a good way.